This week the annual Mercer Quality of Life Survey placed London 40th of 50 world cities, dropping to 39th place since the 2016 survey due to increasing levels of congestion and heavy air pollution in the capital. London was ranked five places above Edinburgh, the only other British city to make the top 50. As an increasing number of cities in Europe announce their intention to ditch diesel in the years ahead over worrying levels of air pollution, the UK Government has so far failed to signal any serious intention to tackle air pollution British cities’. Toxic air levels hit a six-year high this January in London as Mayor of London, Sadiq Khan, warned Londoners to stay indoors over fears for their health. The same month, a survey found two in three Londoners would quit the capital over the debilitating air pollution, and not without reason — a recent report found Londoners face losing around 16 months off their life expectancy as a result of illegal levels of air pollution, as well as stunted growth and reduced lung capacity in the city’s children. 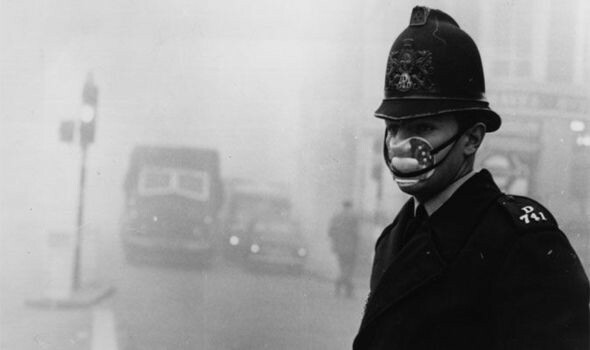 How can Londoners protect themselves from toxic air? With London not expected to clean up it’s act until 2025, amidst escalating calls from the European Union and the threat of heavy fines, how can Londoners protect themselves from blatant government failure? Levels of air pollution are generally higher during rush hours and close to busy roads. Even walking a feet further away from the curb can make a significant impact on the volume of ingested pollutants. In still weather, air pollution can build up on roads with high levels traffic and tall buildings where pollutants can become trapped, this is known as the ‘canyon effect’. If you are sensitive to the effects of air pollution, suffer from asthma, COPD or heart disease, it may be worth taking steps to limit the periods of time spent in locations where peak air pollution concentrations occur. Even taking the backroad parallel to the busy road can noticeably reduce your exposure. Experiment with new routes. Exercise in polluted areas is not recommended. The faster you breathe, the greater volume of pollutants are ingested. Jogging to work through the Square Mile is a serious no-no. In summer, change it up and try running in the morning when pollution, and more specifically, ozone concentrations are lower. Pollutants can seriously deplete antioxidants in your system. A good diet containing antioxidants such as Vitamin C can potentially help protect against some effects of ambient air pollution. It’s worth noting, even those not subject to higher impact short term pollution effects, such as asthma sufferers can be subject to long term health effects of exposure to air pollution. As it stands, information on air pollution is readily available. This data has even been mapped to routing apps allowing an improved ability to limit your exposure to pollution. But this information is not detailed enough to allow for more sophisticated mapping of cleaner and more polluted routes. The data is too coarse, i.e modelled over wide areas, where information in one area without a monitoring station is inferred and extrapolated from similar areas that do. Current information is also time poor, where sensor readings are taken once every hour. Air quality data is not, at the moment, real-time in any true sense. All of this means that current route mapping doesn’t provide a wholly accurate picture or assessment of the local air quality as it really is. As a result, your options are limited. The AirPublic mobile sensor network is an attempt to rectify this situation and improve upon existing systems of monitoring, providing higher granularity data. We’re working to deploy more sensors present across a greater number of locations than ever before. Just a few dozen mobile sensors affixed to electric delivery vehicles in one borough can provide a richer picture than that of the existing sparse network of static monitors. This detail isn’t limited to the geographic, but also temporal. Where static monitors typically update on an hourly basis, we’re able to provide more frequent updates — refreshing our air quality mapping in terms of minutes, rather than hours. Both of these factors combined, give us not only the capacity to upgrade route mapping, but to provide new and actionable information to local authorities, enabling them to make better decisions on carrying out urban interventions to reduce the impact of air quality on local communities. We’re currently developing and testing new prototypes to this aim, support by the European Union’s smart city programme. To find out more, get in touch. We're building real-time air quality data that reflect the movements and lives of everyday people.